Albany, NY - April 29, 2014 - Governor Andrew M. Cuomo today announced the results of two recent State Police enforcement initiatives – ‘Speed Week’ targeting aggressive drivers, and ‘Operation Hang Up’ aimed at stopping distracted driving. April is designated as District Driving Awareness Month. "The results of Speed Week and Operation Hang Up demonstrate that many drivers are still not getting the message that distracted and aggressive behavior behind the wheel has no place on New York's roadways," Governor Cuomo said. "We are committed to curbing this reckless behavior and will continue to crack down on drivers who put the lives of their fellow motorists at risk, and hold accountable those that choose to ignore the laws designed to keep New Yorkers safe." During the eight-day “Speed Week”, troopers issued a total of 24,354 traffic tickets – an increase of 2,156 from the 2013 campaign. Troopers issued 10,890 speeding tickets, an increase of more than 2,000 from the previous year. During Speed Week troopers also continued to focus on the problem of distracted driving, issuing 1,034 tickets for distracted driving – a 33 percent increase from 2013. A 36-year-old Bronx, New York man who was stopped for driving at 130 miles per hour and was found in possession of more than 1.5 pounds of cocaine. A 53-year-old Tennessee man and a 29-year-old North Carolina man who were carrying 4.7 pounds of marijuana. A 25-year-old Connecticut man who was found to have 42 suspensions on his driving privilege. 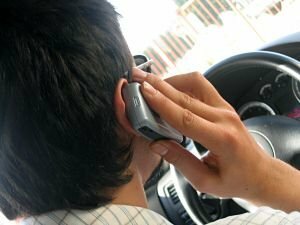 Earlier in the month, State Police launched "Operation Hang-Up", an annual crackdown on distracted drivers. Troopers issued a total of 3,471 traffic tickets for distracted driving offenses during the 5-day “Operation Hang-Up” period from April 10 through April 15. Troopers on patrol during the period issued 2,315 tickets for talking on a hand-held phone while driving and 1,156 tickets for texting or operating other hand held electronics while the vehicle was in motion. This concentrated effort during “Distracted Driving Month” resulted in an increase of more than 300 percent in tickets issued for distracted driving offenses when compared to the November, 2013 “Operation Hang-Up” enforcement period. Though the month-long campaign to increase the awareness of the dangers of distracted driving is coming to a close, troopers will continue their efforts to end these dangerous and preventable actions from the roadways of New York State. Subject: LongIsland.com - Your Name sent you Article details of "Governor Cuomo Announces Results of State Police Enforcement Efforts to Crack Down on Aggressive And Distracted Driving"